Each and every one of us has performed plyometrics with or without knowing it. The exercise is meant to give you the power and strength as well as build your stamina as an athlete. 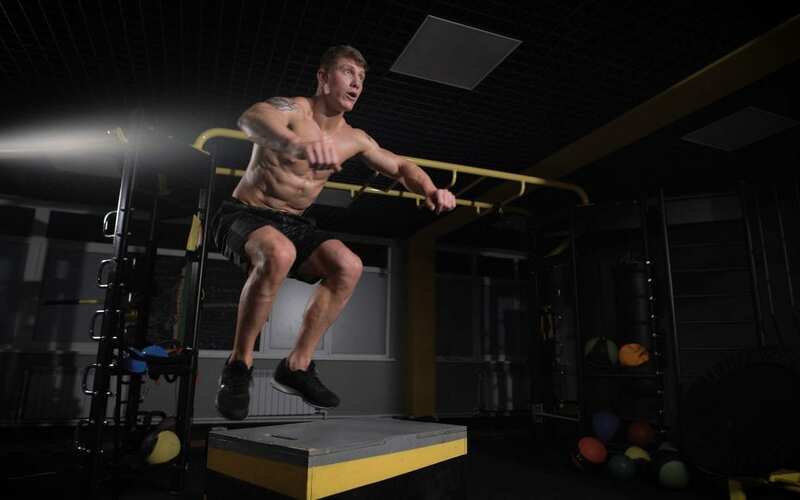 Over the years, Plyometrics has become one of the most valuable exercises that have built renowned athletes who have ended up making history. But the same exercise that is supposed to make you a better individual can be very dangerous if done incorrectly. There are basic things that athletes are probably doing wrong without even noticing it. Most people tend to think that doing an intensive exercise like pushing dumbbells and lifting weight almost every day is the answer to become physically fit. That is just wrong! Your body needs enough time to recover from the initial workout. You need to have adequate rest at least 72hours so that you get into shape. Those who tend to do these workouts without rest end up being weak rather than being healthy and strong. You should also know that when we talk about resting, it means complete rest. You should not be involved in any strenuous activity whatsoever because that means your muscles are still working. So make sure that you have enough rest between workouts. Do not do agility drills while in season. Doing agility drills while in a season is just one of the most destructive efforts that might send you down the path of regret. While in season, you are actually doing the agility drills during your time in the field. You don’t need to hit the gym and do extra agility drills that will send your efforts down the drain. As much as doing these training is important, you should know that you don’t need to get fatigued to the extent that you are unable to attend your next games. What will be the use? Know how to transform force and power. So many people who do plyometrics don’t know how to translate the force they apply in the gym to speed and power in the field. They only go to the gym trying to lift heavier and heavier loads without any knowhow on how best they can convert that force to maximum power. You need to try your level best and make sure that you are able to apply the adequate power needed on the field at a very short period of time without any injuries. This is the reason why you find two different people doing similar plyometrics exercise, but one is faster and aggressive than the other. This is because he/she is able to convert the effort in the gym into power on the field in a very short time. Jumping is one the best plyometric exercises that will guarantee your physical fitness. But there is a catch, any type of jumping exercise will not necessarily assure you the best muscle quality and reflex action you require. One needs to make sure that you have the speed to take off faster even after coming from another activity. The ability to make a sudden change in movement without having any injuries. Jumping without having these unique abilities means that you are doing everything wrong. So try and switch your jumping routine and start doing it right. Do not have your Plyometrics at the end of your workout. Some people do plyometrics just as a supplement exercise, so they prefer doing it at the end of their workout. This is not the right way to go about it. You will only benefit less if you do plyometrics after a heavy workout. This is simply because you will be too exhausted to do them with vigour. You need the psych and strength to have a successful plyometric exercise. So if you have been saving your plyometrics at the end of your work out then know that you have been doing it wrong all along. Plyometric exercise can be very effective or very destructive depending on how well you perform them. You need more than just a routine to get it right. You need to make sure that you do it how it’s required so as to convert the maximum force to power and speed. Make sure you end up benefiting completely from plyometric exercise. There is no need of straining yourself and ending up with minimum results.